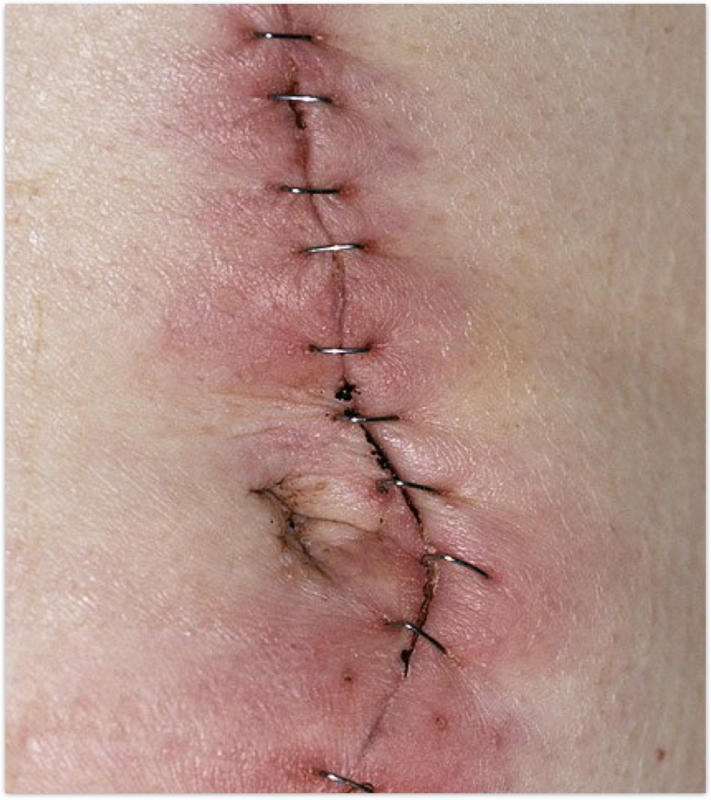 Skin is the largest organ in the human body, and so it is not surprising that costs associated with treating wounds account for a large proportion of global healthcare spend. The global wound care market was estimated to be $8.2B in 2017. 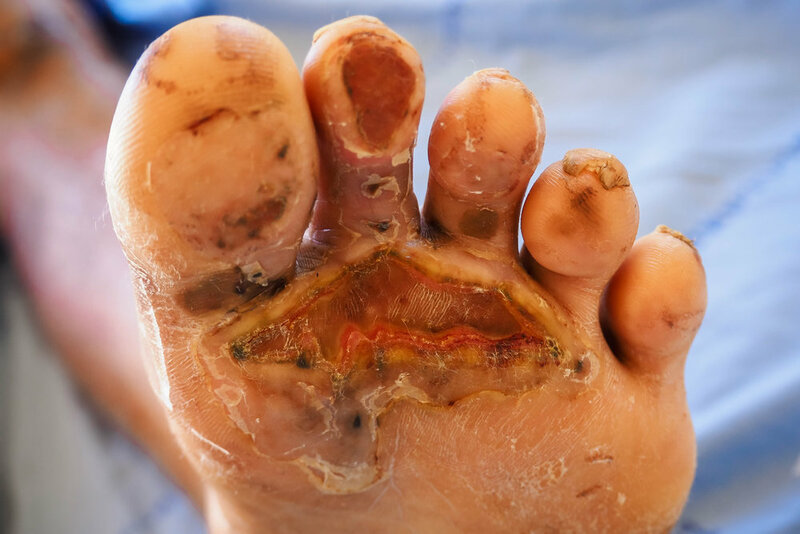 Almost half of this spend relates to the treatment of diabetic foot ulcers (DFUs), itself projected to grow to $8B by 2024. Growth drivers include ageing populations, increases in the incidence of diabetes, increasing focus on preventative care, and the increasing desire of healthcare providers to avoid surgeries and amputations (16). Our initial clinical focus at Origin is the treatment of DFUs. These tend to be the most challenging of wounds to heal. In the USA, annual incidence of DFUs among patients with diabetes may be as high as 6% (17). Of these, 60% will be long-lasting, or “chronic”(18). The 5-year mortality of patients with DFUs is ~50%. Post-amputation this rises to 74%, exceeded only by lung and pancreatic cancers (19-23, 34-36). The issue of DFUs is not isolated to the USA. Diabetes affects 110 million people in China, for example, where a further 58 million people are believed to be undiagnosed (37). Following a successful development and commercial launch of IonoStim™ for the treatment of DFUs, we anticipate a natural extension of the IonoJet™ platform into other wound care areas such as the treatment of surgical site infections, burns and venous leg ulcers, each of which is a major cause of human suffering and financial burden. NO plays a key role in host defense by clearing the wound of infectious microbes (antimicrobial effects), by stimulating other healing factors (immunoregulatory effects) and allowing them to access the wound area by maintaining a constant blood flow (vasoregulatory effects), outlined in the below diagram. It is the synergistic effect of these three processes that supports the regeneration of healthy tissue at the wound site. The underlying pathophysiology of DFUs is complex, but in essence it involves a “biological bankruptcy” of NO. Origin's approach to the treatment of chronic wounds is to restore NO levels and so improve the circulation, reduce bacterial load, and ultimately reduce the risk of amputation. By facilitating the healing process of DFUs we aim to significantly impact quality of life and to reduce mortality rates. GENESIS is Origin’s Phase IIb equivalent, dose-ranging trial, a single-blinded 27-week study recruiting up to 100 patients across 15 clinical sites in the U.S. It is widely accepted that the real-world clinical efficacy of advanced wound care therapies is not well established (41). This has resulted in a skepticism of outcomes that can be achieved versus standard of care (SOC). Origin’s IonoStim™ Food and Drug Administration (FDA) regulatory pathway of Premarket Approval (PMA) provides a solution to this skepticism by delivering a higher standard of clinical data to patients, providers and payers. Origin has now concluded the Genesis Trial and is finalizing the report for submission. Concurrently, Origin is also preparing the next phase of the IonoStim™ program.